Colorsteel and Gerard Roofs offers a range of options to suit every style and budget. If your roof has seen better days and needs roofing repairs or reroofing, John Duff Roofing can help. 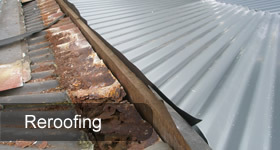 John Duff Roofing also do gutter and spouting repairs, roof painting and chemical roof cleaning. 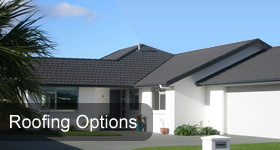 John Duff Roofing specialises in residential roofing in the Whangarei District. We have multiple dedicated teams of professional roofers some of whom have worked for us for 25 years. They are well trained, safety conscious, respectful of your property and considerate of your privacy. As Certified Gerard Roof tile installers, we offer a range of stylish and versatile roofing profiles in various colour choices designed to compliment New Zealand homes and landscapes. 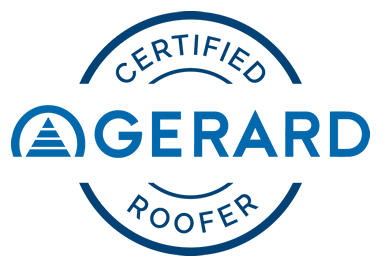 Gerard Roofs offer the classic look of tiles with the strength of Zincalume steel and we are proud to install Gerard products which we believe live up to their reputation of being 'The Worry Proof Roof'. For Long-Run installations, Colorsteel Roofs have long been a favourite in New Zealand due to their affordability, durability and low maintenance. We have installed Colorsteel roofs all around Whangarei and the surrounding areas and can recommend them with confidence. John Duff Roofing has been in business for over 30 years. As a member of the Roofing Association of New Zealand you can be assured that professionalism, quality and safety are of paramount importance when working on your home. John Duff Roofing is a Licensed Building Practitioner under the R2 and R3 Categories, enabling us to install profiled metal roof or wall cladding and metal roof tiles. 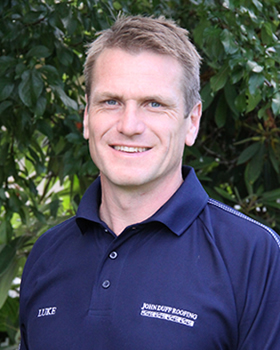 After working closely with John Duff for over 10 years, Luke Hardwick was proud to take over the Company when John retired. Luke has over 16 years roofing experience. In 2008 Luke joined John Duff Roofing where he has worked ever since. Luke brings to John Duff Roofing, his extensive knowledge and experience installing metal tiles, corrugated long-run roofing, fascia and spouting on both new and replacement roofs. 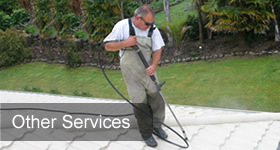 John Duff Roofing also provides full service roofing maintenance including Decragard roof coating and chemical cleaning. Luke has a passion for roofing and focuses on ensuring every job is a quality installation ensuring years of trouble free service. Luke and his crews recognise the importance of a satisfied customer and that the value of the investment in your home warrants they safely install a quality product.